1904 Indian Head cents are very common and are often found in mixed-date rolls and bags. 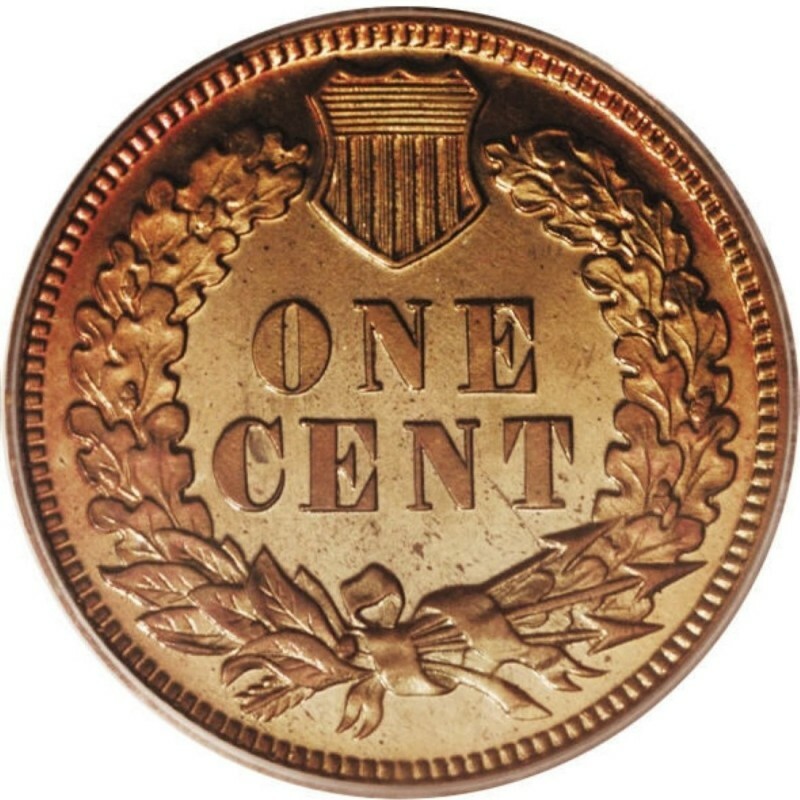 1904 pennies are also widely available at most coin dealer shops that handle 19th- and 20th-century U.S. coinage. Coin collectors buy 1904 pennies for type sets as well as to complete series collections of Indian Head pennies. 1904 cents are also often bought by non-coin collectors who simply want an example of this classic American coin. 1904 Indian Head cents were struck in large quantities, with 61,326,198 pieces struck for commerce purposes. Additionally, 1,817 proof specimens were produced for collectors. These 1904 proof pennies sell for $1,275 in choice condition. 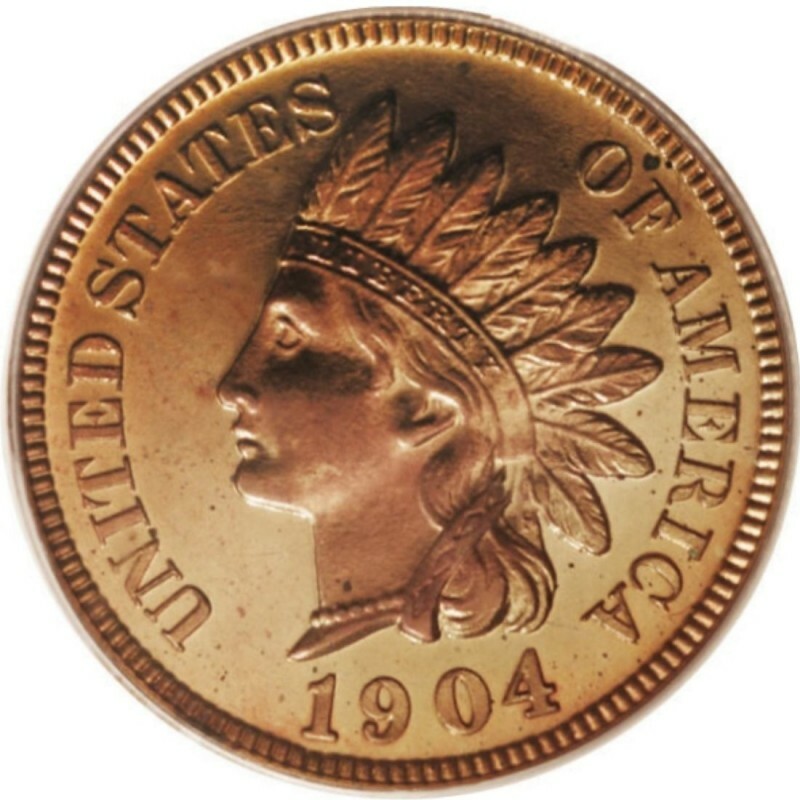 Chief Engraver of the United States Mint James B. Longacre designed the 1904 Indian Head penny. Serving as the Chief Engraver from 1844 until his death in 1869, he designed not only Indian Head pennies, but several other coins as well, including the two-cent piece. That issue is most widely known as the first U.S. coin to have the motto IN GOD WE TRUST. As an interesting side note, the figure on the obverse of the Indian Head cent isn’t a Native American at all. She is actually a representation of Miss Liberty, who in this case was modeled after Longacre’s daughter, Sarah.